In today’s age when there are millions of websites and uncountable numbers of applications being created to make our life easier, it is becoming complicated to keep track of each of them. I am reminded of Charles Darwin’s quote, ‘survival of the fittest’. It applies aptly to the crowded online world. The one that continuously makes effort towards evolving, giving new services and enhancing its customer experience on the platform wins the game in here. And for this I would love to pat the back of the people who are behind PAYTM. Are you bitten by the e-commerce bug yet? Well I am hooked to it. My most recent experience about recharging the Delhi Metro smart card online has been great. I find Paytm pretty convenient. I really like the fact that I don’t have to dig into my purse for every little thing. Right from buying milk at Mother Dairy in the morning to paying for my last ride of the day from work to home, I prefer Paytm for everything. My father chuckles when he gets those little cash-backs. Not to forget, the movie tickets on weekends, my phone bill every month and some shopping for the house under the SALE section of the app is our family thing. 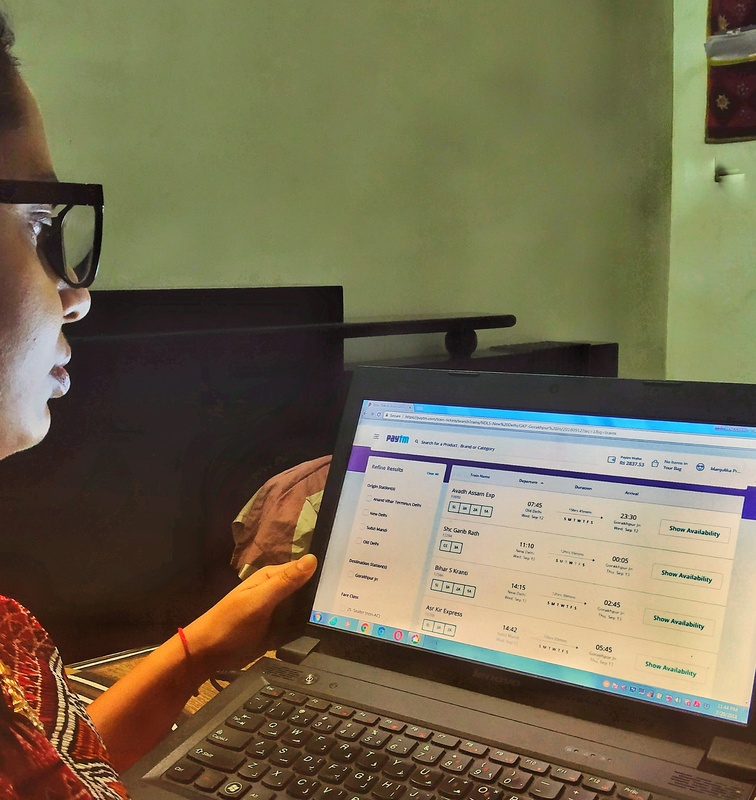 Honestly, I had never booked a flight ticket from the platform till date but when my husband used it recently and had a great experience, I have come to recommend it and there is no denying the fact that almost Paytm has touched the life of almost everyone who has become comfortable with online transactions. While I keep updating myself with all the easy to use, reliable, safe, with best features applications, I update my family, especially my Dad too. He is always up for something new and useful. While our generation is blessed with conveniences at every step, it is the older generation which really marvels at new inventions and values them. Ask the elder generation and they will share their experiences. My folks have stories of struggle for everything. My father never forgets to tell me about those long and unending queues for railway tickets reservations or how difficult it was to manage a leave from work for paying the electricity bill or telephone bills. Buying the necessities were not as easy as today. Every item was put on a list and one had to run around a number of shops in the market to compare prices which happens at the click of a button these days. Thanks to technology and its worshipers, life has become easy. My Dad used it for the first time and taught me to use it too! So this weekend when I visited my parents place, it was quite interesting to learn that my father had booked his train tickets using Paytm. I always thought IRCTC was more convenient and we could use a e-wallet there but he had very interesting things to share about booking from the website. I actually did not know that there were perks of booking your train tickets on Paytm. 1. You can book train tickets in just 50 seconds. Really? 2. It was a smooth payment experience. For quick payments, there is only condition for this and that is you must have enough balance in the Wallet for quick checkout. 3. 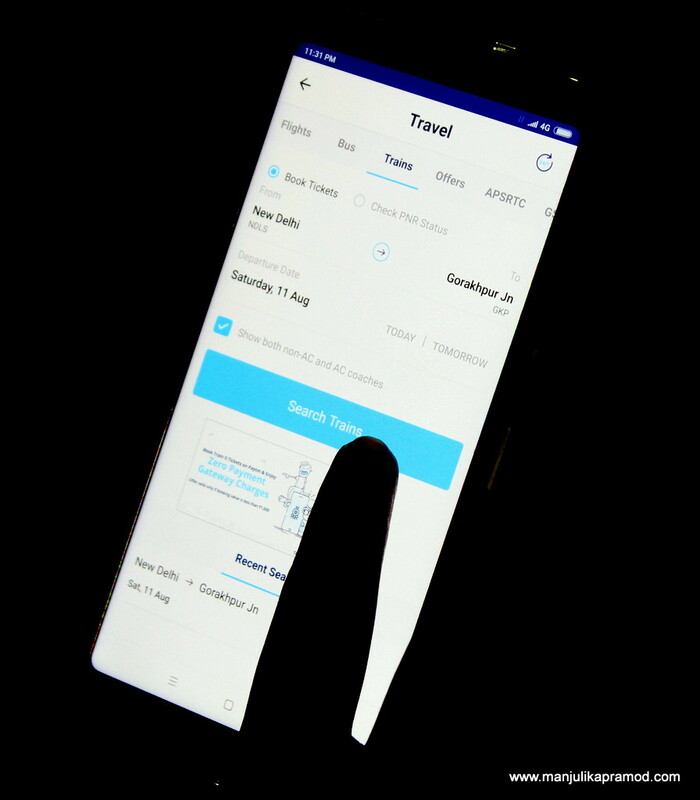 Instant refunds for cancellations – In case of failed booking, you can book another trip immediately, as your money is safe and is credited back to the wallet in less than 15 minutes. 4. In case of cancellation, you money is credited back to your account in 7-10 days. 5. Zero service charges is the winning point. There are no hidden costs. There are zero Payment Gateway Charges and Zero Service Charges on the train ticket booking through Paytm. 6. What happens if you are stuck or you need help or you are not able to make your booking, there exists a 24×7 Support that assures assistance regarding train ticket booking or cancellation. 7. The customer care executives are available on a 24/7 helpline number 9555395553 for all queries or assistance regarding trains, ticket booking, refund or cancellation. You could also use the link www.paytm.com/care. 8. PNR is assigned for every ticket. 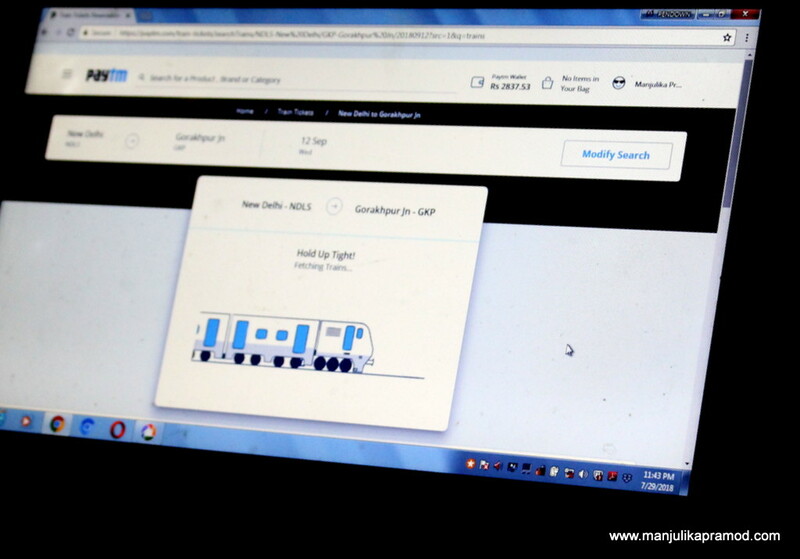 At Paytm.com, one can check the PNR status online (desktop and apps) from anywhere. Some of the features were quite a revelation for me too. 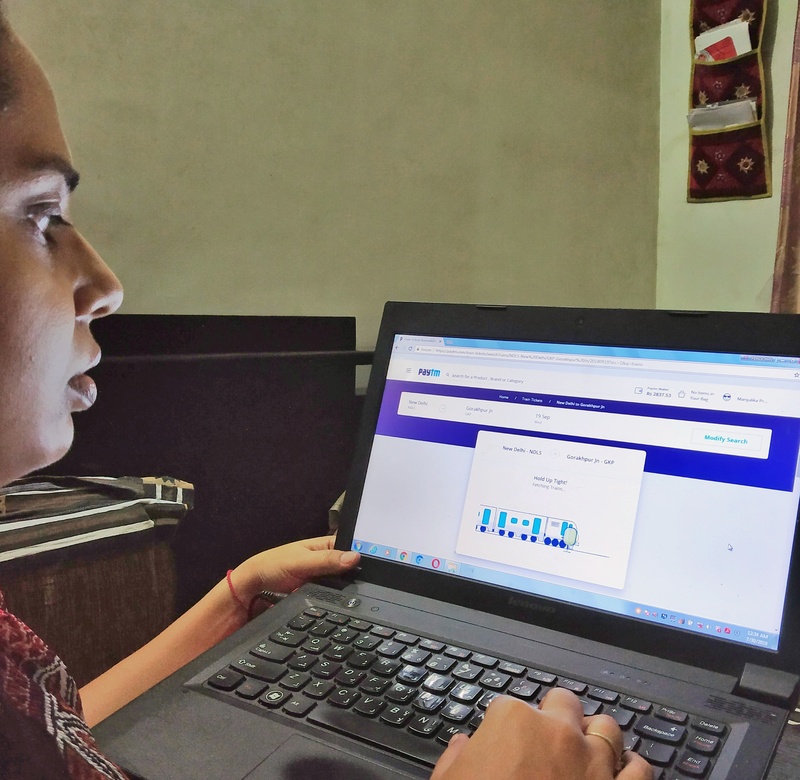 We had been using IRCTC but I was happy that my father felt so excited about learning a new thing and applying it too. He liked using Paytm and was happy that now he could book his train tickets from the same platform. This was like feeling more independent and powerful. A few days later, I checked the app myself when I had to make a reservation. I checked the process myself and found it very easy.